We respond to traumatic events in specific ways. While some people are capable of coping and overcoming the painful occurrence, others find themselves overwhelmed and so affected that they might believe it simply can’t ever be overcome. Often, people have had multiple unresolved traumas in their lives. Over time, the consequences of these events accumulate and become more difficult to bear. While some people find that overcoming a traumatic event can make them stronger, others may experience mental and physiological health issues as a consequence. 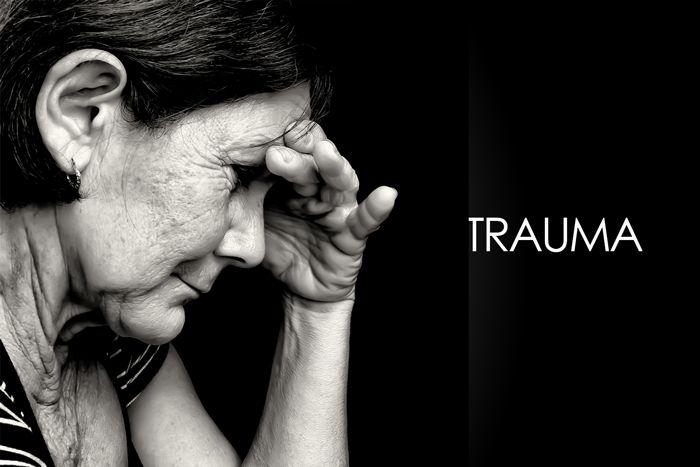 Trauma can affect the way people process emotional and sensory information. It can lead to unhealthy coping strategies that over time can make things worse. People who poorly manage the experiences of of trauma are more likely than others to engage in risky behaviours like dissociation, withdrawal, denial, forgetting or forming harmful relationships with others. Their trust level and self-esteem are often affected, as well.